A home after Hurricane Michael hit Tallahassee. Florida A&M students are getting back into the swing of things after an unforeseen break from school due to Hurricane Michael. The university announced its plans last Monday, Oct. 8, to close the university’s main campus, FAMU Developmental Research School, the FAMU Educational Research Center for Child Development and the Crestview campus for the remainder of the week. “As the storm approaches the area, heavy winds and flooding are expected throughout the Florida Panhandle and Big Bend region. Students, employees and parents are urged to be cautious while traveling and avoid the path of the Hurricane,” the statement said. 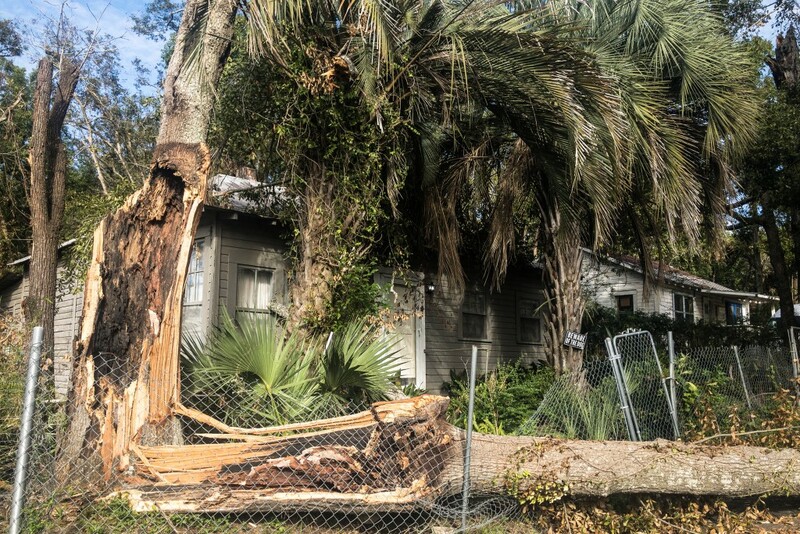 Hurricane Michael ripped through the Florida Panhandle at speeds of 155 mph, in what Governor Rick Scott coined as “the worst storm that the Florida Panhandle has ever seen.” Just 1 mph short of a Category 5 hurricane, the high wind speeds from Michael caused massive power outages throughout the Leon County area. “The lack of resources we had definitely affected my productivity,” Azjani Sprinkles, a senior biology major, said. During the storm, the university released a plethora of official emailed statements, keeping students abreast of pertinent information. “Power outages and downed trees blocking roads have been reported throughout the Tallahassee area,” one statement said. While the break brought hardships for those without power, it also gave four free school days to FAMU students. “I used most of my free time to get back on track with my work,” said junior business administration major Jade Fryer. To some students, the break was much needed after a week of distractions during the prior week of annual homecoming festivities. “Homecoming week took a lot of hours of sleep from me, but the hurricane break fixed that,” said Fryer. Denai Johnson, a junior business administration major, says that her professors have been reasonable with class schedules. “A lot of things were pushed back out of consideration,” Johnson said.